Oysters serve as natural breakwaters to protect the coast from erosion, improve water quality, and are a keystone species responsible for providing habitat for many fishes and invertebrates throughout different stages in their life cycle. 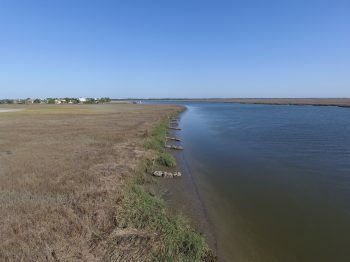 In Georgia, estuarine waters are substrate-limited, not spat-limited, and keeping materials exposed for recruitment is challenging due to the state’s extreme tidal amplitude and tremendous sediment input from river systems. 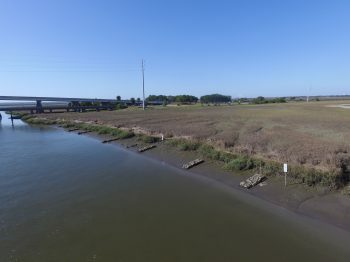 For this project, Georgia Department of Natural Resources, in partnership with the Coastal Conservation Association of Georgia, will deploy 0.088 acres of low relief cultch materials mimicking natural shorelines in order to promote oyster spat recruitment. 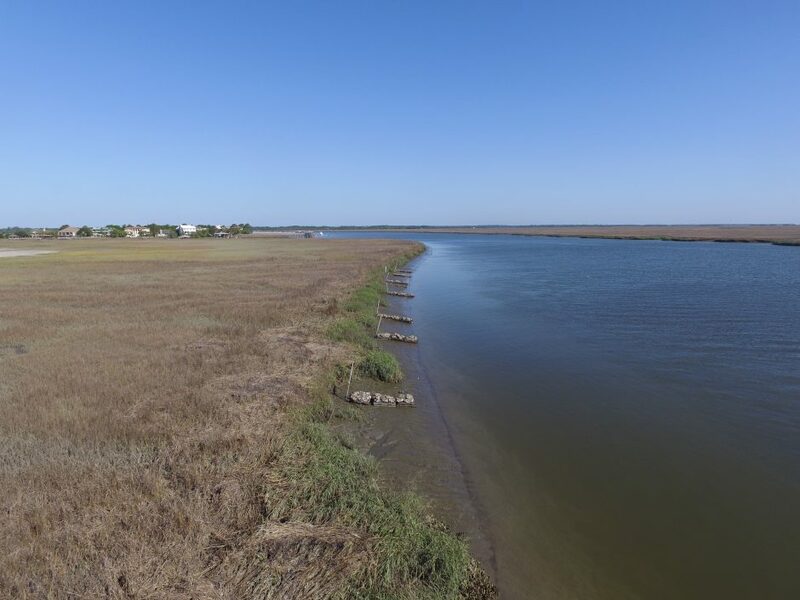 When completed, the project will increase recreational fishing opportunities, stabilize shorelines, engage citizens, and support state and regional partnerships. The Back River Bridge oyster restoration project will create Essential Fish Habitat for species such as red drum, spotted sea trout, and sheepshead. Photos and text provided by Georgia DNR.